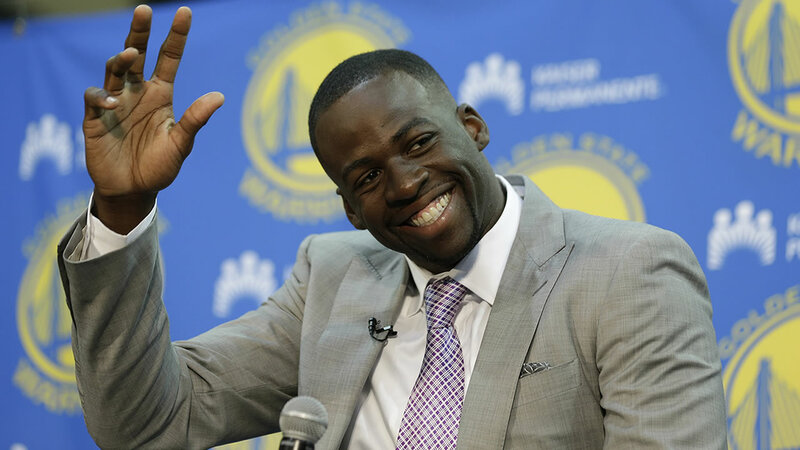 EAST LANSING, Mich. (KGO) -- Golden State Warriors forward Draymond Green is giving back to his alma mater in a big way. The team announced Thursday that the NBA star is donating just over $3 million to Michigan State University. Green played for the Spartans and graduated in 2012. His donation, which is pending approval from the Board of Trustees, is the largest single gift to Michigan State athletics from a former Spartans athlete. A strength and conditioning facility at the Breslin Center will be named in Green's honor, part of a renovation to Michigan State's home arena. Green's donation is intended to inspire others to consider their own support of the university. "It's not just about basketball," he said. "You know, we always preach the student-athlete word, but I feel a lot of the time the student part is left out. I wanted to make sure that that was a part of what I was giving back." Green helped the Warriors to the NBA championship last season and then signed an $82 million, five-year contract to stay with Golden State.